For many Spring, TX couples, the wedding day is an exciting but hectic and sometimes stressful event. It requires months of planning and organizing in order to achieve your vision for the big day. Don't forget to consider wedding transportation for yourselves and your wedding party when working out the details of your itinerary. Having a reliable and experienced transportation service such as MK Limo assisting you can help keep your wedding schedule on track, and save you unnecessary headache. Our beautiful cars and professional service are a perfect addition to any wedding, no matter the theme or setting. Contact us in advance to find out how our limo service can make your wedding day transportation arrangements easy, convenient, and luxurious. A stunning bride should have a glamorous ride to match. Ensure the happy couple arrive in style for each segment of their Spring, TX wedding day celebrations, be it the ceremony, photo shoot, or reception. Our sleek and stylish limousines will have all eyes on the bride and groom wherever they go. We work with you to help you select the perfect vehicle choice for your event and needs. MK Limo has extensive experience providing wedding day transportation, and will see to it that the guests of honor and their wedding party remain on schedule and stress-free. Photos and videos are a major part of most wedding celebrations. We understand Spring, TX brides and grooms wish to have something to remember their big day by for years to come. That is why we provide picture perfect transportation for your big day. 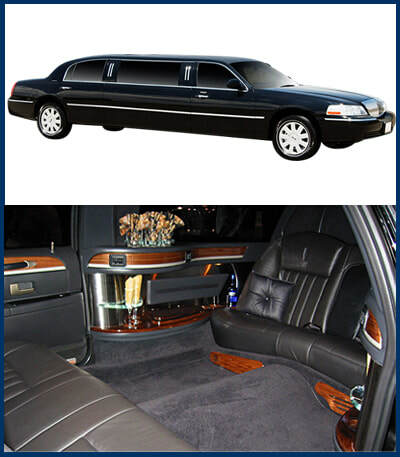 Your limo will arrive in pristine condition, sparkling, and clean. Enjoy taking personal pictures and selfies during your trip between destinations, or pose in front of your glamorous vehicle for some professional photos by your wedding photographer. Whatever you choose, you can be confident that your vehicle from MK Limo will bring elegance and glamour to your wedding photos. ​Keeping your bridesmaids and groomsmen with you throughout the wedding day can help ensure things run more smoothly, however, depending on the size of your wedding party, this can be difficult with most personal vehicles. With MK Limo, size is not a problem. We offer a range of limos with varying passenger capacities to suit the budget and needs of Spring, TX brides and grooms. Whether you need room for 10 or 25, we can accommodate you. Our spacious vehicles provide ample room and comfort for your wedding party to enjoy the day together and keep on schedule. Wedding days can involve a lot of moving parts that the bride and groom need to keep on top of. Fortunately with MK Limo, your wedding transportation does not need to be one of them. We are a professional and experienced limousine rental service with extensive experience providing private luxury transportation for special events. You can be confident that our service is timely, efficient, and reliable.